The new Comed KMC-950 took us by surprise. 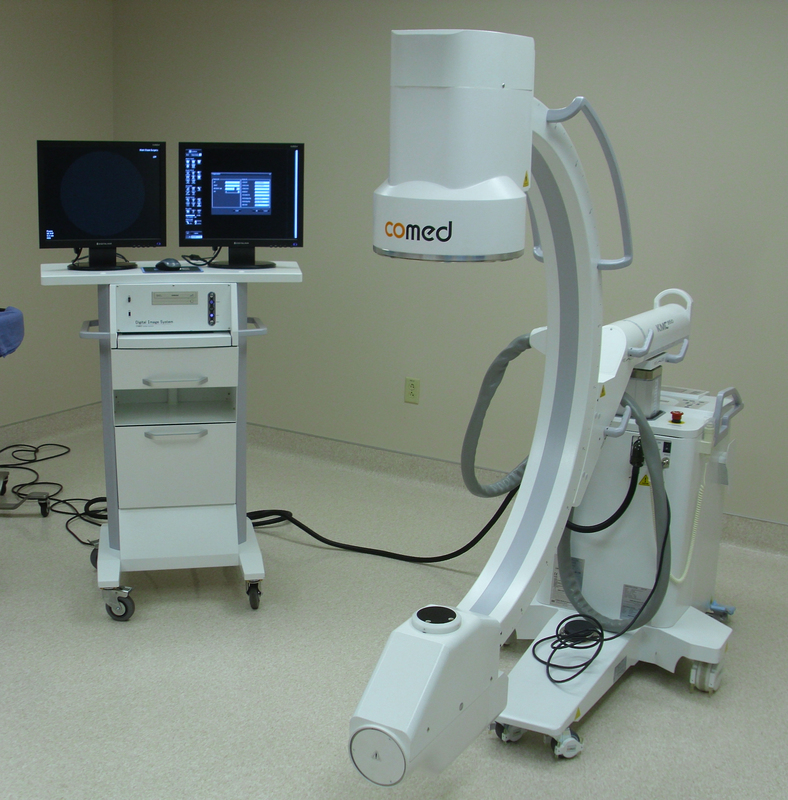 We did not expect to see a Korean C-Arm that could go “toe-to-toe” with GE/OEC for quality, ease of use and features. Think Samsung and Hyundai. This is a COMED KMC-950 delivered in October 2011 to a surgery center client here in Florida. And now the best part:? The Comed KMC-950 is virtually half the price of a new GE/OEC C-Arm. And it comes with a Two (2) Year Warranty. That’s hard to beat. Paying hospitals to improve their quality of care, known as pay-for-performance, has gained wide acceptance in the U.S. and Medicare has spent tens of millions of dollars on bonuses and rewards for hospitals to improve. However, little is known about whether pay-for-performance actually improves patient outcomes over the long term. A new study from Harvard School of Public Health (HSPH) finds no evidence that the largest hospital-based P4P program in the U.S. improved 30-day mortality rates, a measure of whether patients survive their hospitalization. LOS ANGELES (KNX 1070) — The trial of a former Beverly Hills plastic surgeon accused of trying to sell medical equipment he did not own is scheduled to begin next week. Jury selection in the case of Dr. Ehab Mohamed is slated to begin next week. The doctor, whose medical license has been suspended, has pleaded not guilty in the case and has not accepted a plea deal offered by prosecutors. According to an investigation by KNX 1070, Dr. Mohamed has allegedly been in the country illegally since 2006 when his work visa was revoked by the State Department. He is an Egyptian national. Oral glucocorticoids are commonly prescribed for a wide variety of disorders, most commonly for rheumatoid arthritis, obstructive pulmonary disease and inflammatory bowel diseases. However, the use of these medications can result in rapid bone loss during the first three to six months of therapy, leading to increased risk of fragility fractures. Patients with rheumatoid arthritis (RA) who discontinue use of statin therapy are at increased risk of death from cardiovascular disease and other causes. According to the findings of a population-based study now available in Arthritis Care Research, a journal published by Wiley-Blackwell on behalf of the American College of Rheumatology (ACR), RA patients should be advised of the importance of compliance to their statin therapy to reduce cardiovascular disease (CVD) mortality risk. My name is Maria Elena Morgan. I am a professional writer/editor. I have many hobbies–knitting, crocheting, cooking, paranormal events, artist, singing, and of course, writing novels. I am widow with 3 genius children. Since 1988, I have been offworld many times, the most recent of which was this year. I have a hybrid teenage girl child by a Grey. My best alien friend is Red, a Reptilian, who is also a scientist. I have included a brief bio of Red in the sidebar. The cost to place an implantable cardioverter-defibrillator (ICD) increased by $844 per case after a new requirement from the Centers for Medicare and Medicaid Services (CMS) went into effect in February 2010, according to research presented at the American College of Cardiology’s 61st Annual Scientific Session. The Scientific Session, the premier cardiovascular medical meeting, brings cardiovascular professionals together to further advances in the field. Nearly one in five people suffers from the insidious and often devastating problem of chronic pain. That the problem persists, and is growing, is striking given the many breakthroughs in understanding the basic biology of pain over the past two decades. A major challenge for treating chronic pain is to understand why certain people develop pain while others, with apparently similar disorders or injuries, do not. An equally important challenge is to develop individualized therapies that will be effective in specific patient populations. Today many of us are balancing the job, caring for the kids, caring for ourselves, caring for our elderly parents, plus many other responsibilities. The days, weeks, and months seem to fill with immeasurable stress that leave us drained and sometimes in failing health. When it comes to our bodies or those that we care for, we need to take advantage of the most durable and high-quality medical equipment out there. When we get the best we know that ourselves or our loved ones will not be hurt using that medical equipment nor will they be prolonged in their recovery from injury. Human geneticists have long debated whether the genetic risk of the most common medical conditions derive from many rare mutations, each conferring a high degree of risk in different people, or common differences throughout the genome that modestly influence risk.